This funding will help Gavi immunise tens of millions of children in the world’s poorest countries against vaccine-preventable diseases that take the lives of 1.5 million each year. The contribution to Gavi is part of the US$ 715 million approved for USAID’s Maternal and Child Health programmes. President Obama – who included the US$ 200 million request for Gavi in his budget request to Congress – signed the bill into law on Tuesday, following Congressional approval. Gavi’s work supports the Administration’s priority of ending preventable child deaths globally. 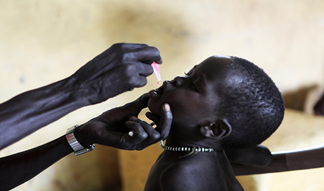 Since its inception in 2000, Gavi has helped immunise nearly 500 million children, saving 6 million lives. It now aims to immunise an additional 300 million children between 2016 and 2020, which would save five million to six million more lives. During this period, Gavi’s goal is to increase to 50% from 5% the number of children who receive all 11 vaccines recommended by the World Health Organization. Meeting these goals will require US$ 7.5 billion from donors, the focus of a pledging event for Gavi on 27 January in Berlin, hosted by German Chancellor Angela Merkel. Gavi has asked the US to contribute US$ 1 billion over the next four years (2015-2018), including the US$ 200 million for fiscal year 2015. Passage of the 2015 budget with funding for Gavi represents the essential first step of the US pledge and highlights strong bipartisan support for a continued and meaningful US commitment to Gavi. The US is one of Gavi’s original six donors, and with fiscal year 2015 funding it will have contributed nearly US$ 1.4 billion since Gavi’s inception. “We are grateful not only for full funding to Gavi for 2015, but also for increased support for Maternal, Child and Newborn Health. This will help us preserve and expand the gains of the past 15 years in saving children’s lives,” Berkley concluded.